Our clients have always been beside us, and together we’ve managed to grow. And we will continue to grow, because every project is a new challenge, a new chance to learn, a new beginning. We offer you intelligent solutions for graphic, web design and applications to open your way towards communication and interactivity, things a business can’t do without. Xelent Solutions means team work, communication, trust. And above all, it means respect for its clients. Our team offers you a wide range of services meant to promote your business by web applications that would make web communication more accessible. 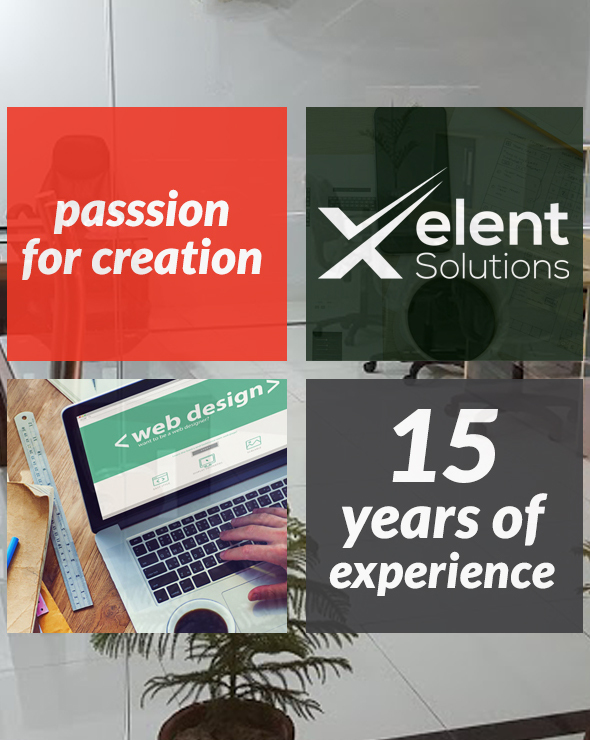 To this end, Xelent Solutions tries to be in a continuous dialogue with its clients. To us your needs come first. Thus we know how to be there for you offering you exactly what you need, using fast and simple solutions. We put a wide experience and a strong and efficient team at your disposal in order to soften the way towards achieving your business goals. Our company philosophy is to create the kind of website that most businesses want: easy to find, stylish and appealing, quick loading, mobile responsive and easy to navigate.